Dunk your boss at your annual company fundraiser or watch the birthday boy splash into the pool with our Dunk Tank! Get the party going with some water fun. 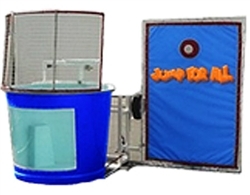 The dunk tank is easy to set up and transport to your next event.